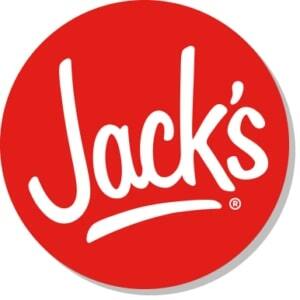 Track your Weight Watchers points for the foods you eat at Jack's restaurant. You will also find the nutrition information on this page. So regardless if you are a member or not, you can use this information while eating at this restaurant. You will find the points plus and the original values below. Unfortunately sugar information was not available so SmartPoints values could not be calculated. Be sure to track the numbers that match the plan you are following. If you are not a member but are trying to lose weight while eating out, then you also will find what you are looking for on this page. The Jack's nutrition information includes calories, total and saturated fat, fiber, protein and carbohydrates. Serving size was not available so assumes as served. Use this information to stay within your weight loss plan allowance and lose weight while eating out. Use this free calculator to find out how many calories you burn during your workout. Includes fun activities as well as structured workouts, so no matter what activity you did today, you can find out how many calories you burned. If you feel like staying in tonight but wanting something new, check out these entree recipes and give one a try. With the new FreeStyle plan, many of these are low in WW Points so you won't go over your daily allowance. Check out this list of over 200 zero point food items. Use them in recipes, for a light snack or even the main course and don't worry about tracking these items with the FreeStyle plan.